The venue for the Donnelly Group Supporters’ Football Tournament on Sunday 16th September is confirmed as BC Place. We have a team who will take on the Chelsea, Arsenal, Man United, Man City, Tottenham, and Donnelly Head Office teams. There will be food and drink concessions inside the stadium and we want as many fans as possible to come down and cheer the team on, so please come down if you can make it! The tournament starts at 10am and should be finished by 4pm with an after party at Library Square. The annual Donnelly Group 6-a-side football tournament is scheduled for Sunday 16th September 2018 – Running from 10am to 5pm. We are waiting for the venue to be confirmed but it will be held in Downtown Vancouver. We will need to enter a team. There will be refreshments and a beer garden. If you are interested in playing – send us an email via the contact form. There will be a change of plan for the European Cup Final Priority entrance for members for this game. Unfortunately, during the semifinals some members attempted to get multiple entries off one priority email, so for the final, you WILL need government photo ID along with your LFC Vancouver membership card for entry. The person whose name is on the membership is the ONLY person who will be coming in. If you have a partner/friend/enemy who is NOT a member, they will not be piggybacking in on your membership. NO EXCEPTIONS! In the coming weeks in the lead up to the final we will be available on particular days for you to collect membership cards. Stay tuned to the site and facebook page for announcements on when your card can be picked up, if you don’t have it. 09:00 – 11:00: MEMBERS BREAKFAST AND PRIORITY ENTRY FOR BUTCHER AND BULLOCK: This will be a complimentary ‘English breakfast’ courtesy of LFC Vancouver for all members; come and get in early, Alcohol will be on sale, and we’re hoping to sort a little more pre-match entertainment between now and then. This is also the members’ priority entrance period. PLEASE NOTE: We expect this time period to be busy, and we have more members than seating, if you have finished eating and see another member looking for a place to eat, please try and help each other out, thank you. 10:45 – At this time we are slowly going to start re-positioning some tables on the lower level to make the bar more standing friendly and hopefully create better pathways for the staff to move through as well as an improved atmosphere. 11:00 – Blackbird and Cinema bars open to all Liverpool supporters. Blackbird Bar is one block away from the B&B and will be our second home for the day. If you can’t make it to Butcher, this will be the next stop. Please come to Butcher first and if we are already at capacity we will redirect you to Blackbird. Blackbird is now fully booked for tables but may still have standing room on the day. The Donnelly Group will open Cinema Bar for LFC supporters who’d like to watch the game with anyone under the age of 19. We’ve had multiple requests for this and this is the only bar with a license that will allow us to accommodate mini reds. Whether you are a member or non-member, please arrive at Butcher/ Blackbird before 11am. This gives us as much time as possible to ensure you are in one of the pubs prior to kick off. 11:45 – Kick off as the Reds begin the charge to #6. Lastly, The Butcher and Bullock is/ and has been for many years, LFC Vancouver’s home. We will not have enough space in the Butcher to accommodate all Liverpool fans, so for that reason, NO REAL MADRID fans will be allowed entry to B&B. If you have a friend who is a Madrid fan and you want to watch together, please choose one of the other two bars for that day as the B&B will be Liverpool Only. We appreciate everyone’s support and enthusiasm for LFC and LFC Vancouver and want to thank everyone for their support on these big days. 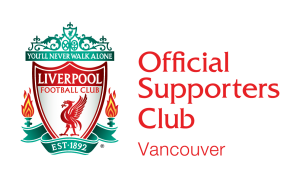 For LFC Vancouver members (with a valid membership card stamped ’17 or ’18, and priority entry email) the doors open at 10:30am. As per previous big games: There are no table reservations. It’s FIRST COME, FIRST SERVED. Friends that aren’t members will have to wait outside. No Exceptions! Priority emails will be sent to members on Monday 23rd April. For the public, doors open at 11:15am as normal. As the Butcher will most likely reach capacity, the Blackbird Public House and The Railway Club will be also be open for people to watch the games. Both venues are currently accepting table reservations. If you don’t have a membership, you can buy one from our online store. Membership cards will be available for pick up at the West Brom game.